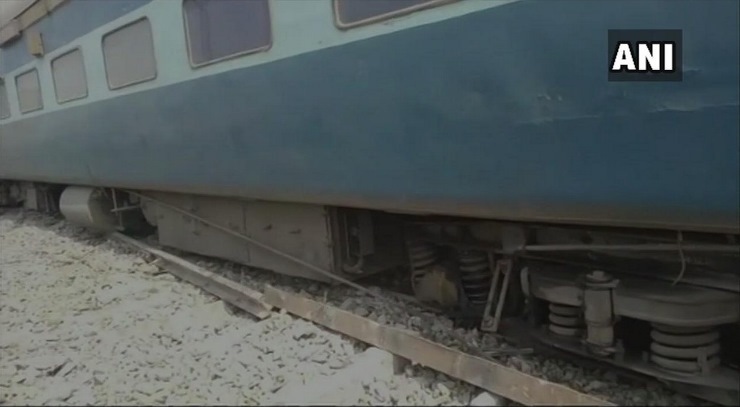 Chhapra: At least 13 compartments of Chhapra-Surat Tapti Sagar Express derailed near Gautamasthan railway station on Chhapra-Varanasi section of North East railway in Saran district on Sunday. Rail police said here that 13 compartments of Tapti Sagar Express jumped off track near Gautamsagar station suddenly. Sources said, nobody was injured in the mishap. The passengers deboarded from the train following the derailment. Sources said, the reason behind derailment could not be immediately ascertained. Efforts were underway to remove train compartments from tracks. Senior railway authorities and rail police officers are camping at the spot, sources added.